Story (from IMDB) : One year ago, Agnes Rickover attended opening night at the Bates Motel and Haunted Hayride to see her best friend Lily’s dramatic debut. A horrific accident resulted in Agnes witnessing Lily’s fiery death in a spectacle gone wrong. After a year of obsessing over a murder investigation everyone else thinks is open and shut, Agnes goes to work at the Haunt in an attempt confront her trauma. Horrific events begin to claim the lives of her coworkers and Agnes must figure out what is behind all of the “accidents” before more people die. 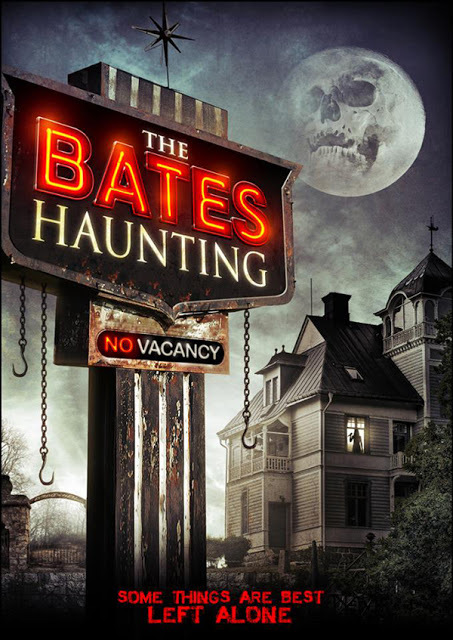 This movie uses the word Haunting in the wrong way. Don’t get in expecting a haunted story of any sorts. Instead what you get is a story about a haunted house when on opening night a malfunction happens and Lily watches her best friend burn to death. One year later Lily begins working at the haunted house again and as people start dying she looks further into what is happening. It follows a quite generic story and the end twist is predictable. It does nothing new in originality. Character wise there isn’t a single likeable person. Even your main character Lily is a rude, mean, and just unlikeable character who you don’t feel sympathy towards at all. Zachary Fletcher who plays Junior Bates is a awkward, creepy character who you never feel scared of at all but instead just feel like he’s the awkward man who will just stand far away and stare at you. Ryan Dunn (of Jackass fame) is also in this movie really briefly for no other purpose I feel than to promote it as starring Jackass stars. For that matter Bam Margera has a commercial before the movie promoting the haunted house as well. The one liners here are laughable. “I’m not like Norman Bates, I’m more like Normal Bates’ is actually a line stated in the movie. Another one is someone telling Lily that he friend dying and other people dying are just parts of life. It’s just no one knew what to do. The violence doesn’t save the movie either. The opening kill is done decently and makes the film seem like it may off some good kills but instead you get a lot of cut aways and after shots. Other times you will see parts of it before splashes of blood appear. A lot of the kills are the same as other films but they do it better. People getting shot, cut in half, mowed over, etc. Not even the kills make it interesting. Overall it’s hard to even want to write about the movie because it is just that bad. Horrible writing mixed with a unoriginal and bland story doesn’t help the fact that the kill scenes are boring and the characters are unlikeable in every aspect. You’ll laugh at this film but not for any good reason. Stay away from it.